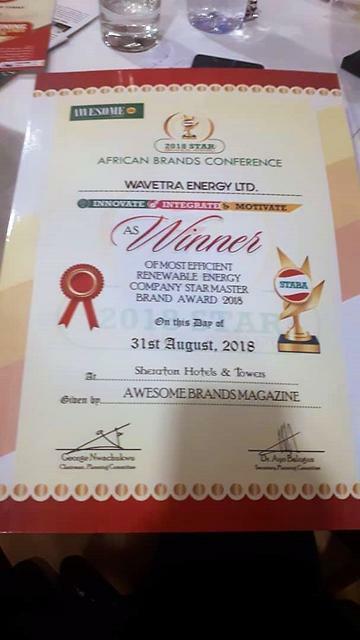 Wavetra Energy Wins the Most Efficient Renewable energy Company Star M Wavetra Energy Wins the Most Efficient Renewable energy Company Star M — Wavetra Energy LTD.
We are excited to announce that Wavetra Energy LTD took home the AFRICAN BRAND CONFERENCE award of the MOST EFFICIENT RENEWABLE ENERGY COMPANY STAR MASTER BRAND award, 2018. 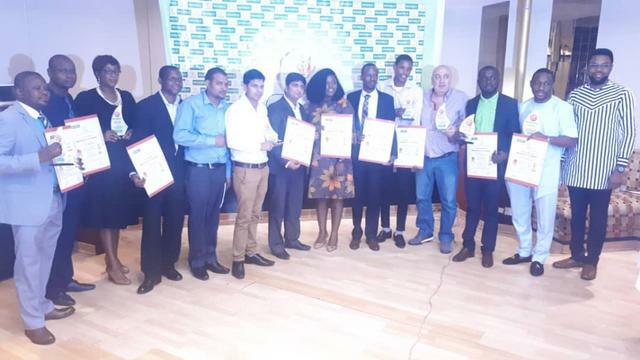 The event was held in Sheraton Hotel Lagos on the 31st of August, 2018. 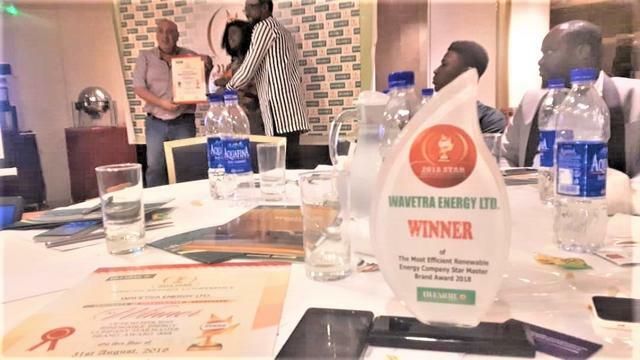 Previous article Your roof must not leak because you mounted solar panels on it!